Imagine that your task list was made up of a bunch of little slips of paper that you can slide around in any order, only these slips can’t blow away. That’s the central metaphor for Gneo, a universal task manager app which starts out looking like the ultra-simple Clear app, but hides a lot of power under the hood. I still hanker after the perfect task app. I was an Omnifocus user for ages, but the slow sync-on-launch and the weirdly difficult UI made me leave it. These days I use my e-mail as a task manager, which is supposedly a terrible idea but works amazingly well for me (I can write a post on it if you like. It’s a pretty simple and neat setup). 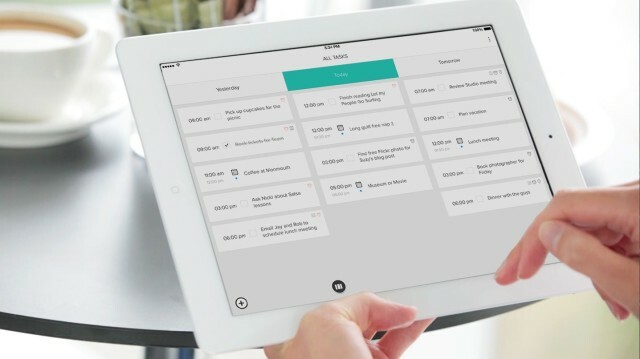 Gneo takes a few cool to-do list ideas and seems to combine them into an intuitive design. You can drag tasks around the canvas (different “canvasses” correspond to different projects) and also view them on a grid of importance vs. urgency. Natural-language parsing helps with adding metadata (like due dates) to reminders, and two-way Evernote syncing gives both a backup and integration with a whole universe of apps and services. The only thing I haven;t found so far is a way to add tasks via e-mail, but I expect Evernote could offer a way around that. The app will cost your $10, which is great news if you turn out to like it, as it means the developer is (hopefully) making enough money to continue improving the app. And today you can get is for just $5 with a Thanksgiving offer.